Written by Jin Won Choi on Nov. 4, 2017 in ETFs. At the beginning of every month, I brief members on how MoneyGeek's Regular portfolios have performed and comment on the state of the financial markets. In this update, I’ll also share my thoughts on AIEQ, the newly released ETF that operates using artificial intelligence. In contrast to our competitors, MoneyGeek’s Regular portfolios employ stocks/ETFs that follow the value investing strategy (QVAL, IVAL and BRK-B), and also allocate a larger percentage of the portfolios toward Canadian oil and gas stocks (XEG.TO) and gold (CGL-C.TO). If you would like to take a look at our portfolios, I invite you to sign up for our free membership. Regular portfolios underperformed their competitors in October. Regular portfolios are currently somewhat more conservative compared to their competitors, as evidenced by the meaningful allocation towards gold and short term bonds. Thus, the portfolios didn’t benefit as much from the stock market’s rise as our competitors’ portfolios have. Both the U.S. and Canadian stock markets enjoyed strong returns in October. There’s never just one reason for the stock market’s rise, but I think the flow of funds helped. During the 4 weeks ending October 25, investors poured over $20 billion into either mutual funds, or ETFs that invest in stocks. I think some of this money is from investors who follow the “Sell in May” strategy. This strategy calls for selling stocks in May, and buying them back in November. Many investors tend to buy back a month early to try to get ahead of other investors. As you may know from reading my free book, I generally recommend ETFs as the investment vehicle of choice for most investors. I’m therefore on the lookout for new and exciting ETFs. One ETF in particular caught my eye last month, and that’s the AI Powered Equity ETF (ticker: AIEQ) by EquBot. As its name implies, AIEQ uses machine learning algorithms to determine which stocks to invest in. Its website claims that the ETF uses IBM Watson to analyze “millions of data points” each day. Those data points include financial statements, news articles and social media postings. Using the output generated by Watson, AIEQ selects 30 to 70 stocks, and weights them so that the ETF as a whole has a similar volatility to the U.S. stock market. In other words, AIEQ’s algorithm tries to ensure the ETF is as risky as investing in a plain vanilla U.S. stocks ETF like SPY or VTI. Now, I personally believe that an AI driven ETF has great potential. As you know, I’ve been experimenting with using AI to analyze stocks myself, and I think that AI can discover patterns in stock markets that are hidden to more traditional analysis. But at the same time, I believe it’s easy to misuse AI - this paper lists some important examples of such misuse. In order to have confidence in AIEQ, we therefore need to know more about the machine learning algorithms that drive it. Unfortunately, most of that information doesn’t appear to be available, either in official documents (including the prospectus), or in news articles that cover the topic. It’s very difficult to even guess how AIEQ’s algorithms work with the information that’s available. For instance, IBM’s Watson appears to be a key component of the algorithms. However, it’s not obvious how AIEQ uses Watson to generate stock recommendations. 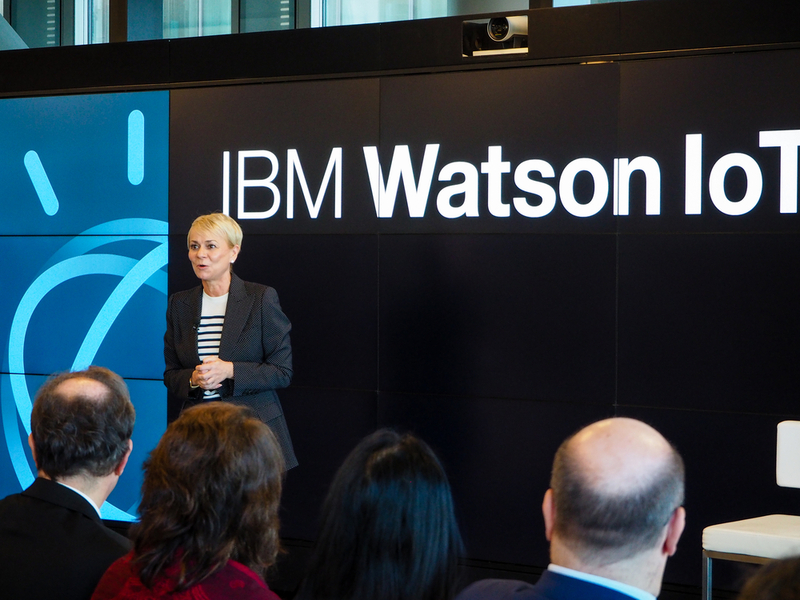 As this video shows, Watson is primarily a natural language processing tool. Presumably, EquBot’s algorithms feed Watson with financial statements and news articles. But what kind of output does Watson generate with the data? Does it generate sentiment data (i.e. does it detect whether news articles sound positive or negative for the company)? Does it look for indications of revenue growth, or something else entirely? We don’t know. After Watson generates some output from the data, EquBot would then have to combine those outputs in order to pick stocks. I couldn’t find any information on this piece of EquBot’s algorithms either. One of the major criticisms of AI driven algorithms is that they’re “black boxes”. In other words, people generally have no idea how an algorithm works. This is a particular concern in the investment world, where an algorithm’s failure leads to real monetary losses. Now, AI is hard to understand in part because it’s complex. The average person doesn’t have much knowledge of statistics, yet machine learning models tend to consist of layers of statistical models. However, I believe that companies like EquBot can do more to make their knowledge more accessible. For example, EquBot could explain what kind of information it derives from using Watson. I understand that companies like EquBot would want to keep their “secret sauce” secret to ward off competition. But I wonder if by doing so, they ultimately harm themselves, as their secrecy may keep potential investors from buying their ETFs. If they’re truly worried about competition, they should just lower their fees to the point where competitors wouldn’t find it worthwhile to enter their space. This is the strategy Amazon employed, and it has worked spectacularly well for them. In the end, this is EquBot’s choice. Who knows? Maybe they have some very good reasons for concealing their methodology. But until they become more transparent, I’m afraid I’d have to recommend that people stay away from their ETF.